Now you have a chance to study at Stanford for free. They are opening their course to the public for the first time. They will not open all courses, but only limited to several introduction subjects and also artificial intelligent courses. In the past, they have uploaded several videos to YouTube and now they are opening their courses to public. It's what the Wikinomics said about mass collaboration could change everything. Now you can study at Stanford right in front of your computer at home or at mall. MIT has also done the same thing via their MIT Open Courseware. Soon, universities all around the world will be able to share their materials and people could study from abroad. Finally, the final edition of Ubuntu 8.10 has been officially released by Ubuntu team. Here's some overview of this release (Taken from Ubuntu main page). More to come when the official release notes has been released. For constant connectivity public WiFi has limitations. Improvements to the network manager in Ubuntu 8.10 makes it simple to detect and connect to 3G networks and manage connectivity. This connectivity is delivered through an inbuilt 3G modem, through 'dongle' support, through a mobile phone or through Bluetooth. It is a complex environment that Ubuntu 8.10 simplifies through a single interface and the auto-detection of many of the most popular devices. In a world of 'always on' pervasive computing it is more likely that users lend their computers to colleagues or friends at conferences, cafes or at parties so they can check email, etc. Guest sessions allow users to lock down a session easily so a guest can use the full system without interference with programs or data. Starting the media players within Ubuntu (Totem Movie Player and Rhythmbox) launches a menu of selected content from the broadcaster that is free to air. This is a mixture of video, radio and podcasts and available in high quality, much of it playable using non-proprietary codecs. Content is constantly updated via the corporation's stream and will vary dependent on location, though some content will be available for every user. Building on the Just Enough Operating System (JeOS) version launched last year, Ubuntu 8.10 ships with a Virtual Machine builder. It allows complete Virtual Machines to be built from the command line in less than five minutes. Developers and system administrators can script the creation of custom virtual images. Vm-builder provides a key component to a dynamic provisioning process for businesses using virtualisation environments. JeOS has been merged into the Server CD and is now available as an option at installation time. Ubuntu 8.10 officially supports running as a paravirtualized guest on Xen hypervisors. KVM has also been updated to allow more flexible memory management. Administrators can reduce or increase the memory allocated to any virtual machine without having to reboot it. Apache Tomcat 6.0 and OpenJDK are now fully supported options that make Ubuntu a great choice for developing and deploying Java applications in production environments. ClamAV and SpamAssassin are now available from the main repository providing a supported solution for spam detection and virus filtering for mail infrastructures built on Ubuntu Server. Ubuntu 8.10 provides support for SATA "software" RAID controllers via DMRaid. Booting from a degraded RAID array is now configurable by the system administrator. Administrators can now easily set-up an Ubuntu system to provide encrypted private directories which are automatically mounted when users login locally or via ssh. Sensitive data is kept secure even if the system is stolen. The tool chain used to compile Ubuntu has been updated to include even more security features such as glibc function call fortification. Bugs in applications are even harder to be turned into exploitable vulnerabilities. The Uncomplicated Firewall makes it easier to manage a host firewall thanks to the addition of application profiles. Common services such as apache, bind9, cups, dovecot, openssh, postfix or samba declare which ports they use so that the administrator only enables a network service rather than a set of ports. Landscape client provides a free reporting function at each login. Key information such as system statistics is added to the "message of the day" that is displayed at login (motd). Any type of metric can be gathered simply by writing plugins for Landscape client. Landscape is Canonical's lightweight system management tool for Ubuntu systems that allows automated deployment and monitoring. Full activation of the client for landscape customers is now available within the installer. It's been some time since i bought my last book (which was usually a novel). Today, i bought a new book again, called Wikinomics. The author is Don Tapscott and Anthony D. Williams. My lecturer, Mr. Jazi Eko has told me that this book was good and i didn't have a chance to proof that until today. Wiki and mass collaboration indeed bring huge changes to how people do on their business activities nowadays. I was still amazed on one of the example written on that big about GoldCorp. They avoided bankruptcy by using collaboration power to locate a new gold source which will take many years if they do it by themselves. It was written that the collaboration process has cut the process by 2-3 years, which has huge impact on the company's business activities. Well, i think i will spend this weekend to finish this book. The third book of Eragon trilogy from Christopher Paolini has finally been released last September. I just realized it tonight when i browsed Amazon and saw the advertisement on the Amazon's home page. It's called Brisingr. I have followed this book since the first book (Eragon) and the second one (Eldest) and i'm waiting for the third one. Too bad the international version (Indonesian) will not be available in short time. Probably next year. One by one, new features are being added to GMail by their developers. Their latest changes are the integration of Google Calendar and Google Gadget into GMail. Google Calendar integration actually already being implemented by Better GMail extension for Firefox, but with this integration, i think the support will be much better. LF (LinuxFoundation) has uploaded videos from the last Kernel Summit 2008 (held in last September) with interviews from some of the developers who works on the Linux Kernel. Some of them you probably aware of, such as Linus Torvalds, Greg Kroah-Hartman, Jon Corbet, Ted Ts'o, David Miller, Dave Jones, and many more. Here you will see lots of topic about kernel development itself. Beware, the file are quite big and it's kinda slow from here. It's been five months (almost six within few days) since last PHP release and the next stable PHP release (dubbed 5.2.7) is still on RC2 stage. I wonder what changes has been merged into the repository that makes the developer had to wait so long to release the next stable release . Within less than a week, two new stable kernel has been released by the -Stable team. 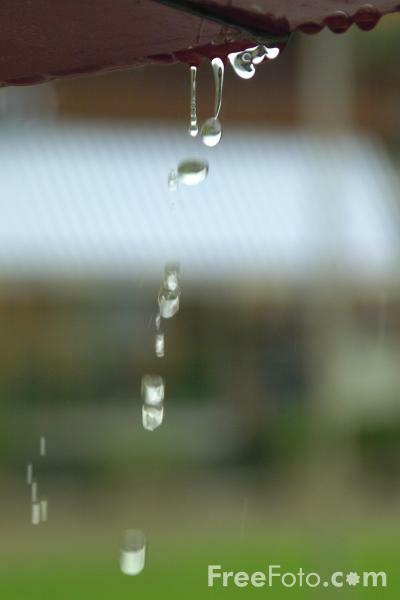 We can see this phenomena from two point of view. From stability and security point of view, this is good approach. Known problems gets fixed as soon as possible and they have good mechanisms to review all the patches that were ported to the -Stable tree. This reduces possibility of a vulnerabilities gets exploited. In other view, people who doesn't understand how big the Linux kernel project is will see that there might be problems with the development model. How come that bug can miss the testing phase from all developers around the world? I'm sure there are people who had this thought on his mind after seeing quick release in the stable kernel. Finally, Chris John got what he wanted, Super Champion title after defending his title for ten time in a row. The last match was held in Japan (Korakuen Hall, Tokyo) and it was a mandatory fight between him and Hiroyuki Enoki. Indonesia should be proud of him and i guess he should be given a special rewards for his achievements. Another innovation from GMail team to improve GMail by adding emoticons on the compose/reply window. This also being added in their GTalk product, which has been integrated with GMail, so you can talk while replying email messages in your inbox. Besides emoticons, they also integrate GTalk's smileys in GMail, so that you can have more options when composing messages to your friend, colleagues, etc. Please note that you can use this feature if you enable the Rich Formatting feature while composing/replying your message. This will not work in plain text (which i used) version. Today is the last day of the Mid Test in UKDW. Students must have been very happy with it, but they should be anxious, because the results were still unknown (unless he's very optimistic that he could do the test). When the test is finished, the burden has been transferred to the lecturer who will evaluate the test. This is what i do in the last two days, evaluation. I have finished two class and i'm in a process of finishing the last batch of distributed system class which has the most students compared to other classes. Let's hope the results can be uploaded to my home page tomorrow morning. How Much a Linux Distribution Costs? Amanda McPherson, Brian Proffitt, and Ron Hale-Evans from LinuxFoundation has released an interesting article about Estimating the Total Development Cost of a Linux Distribution. It contains an updated calculations of Software Lines of Code present in a typical Linux distribution. In the paper, the authors uses Fedora 9 as the basis. Guess what? It's estimated that it would require approximately $10.8 billion to build Fedora 9. Additionally, it would take $1.4 billion to develop the Linux kernel alone. In simple word, Linux has grown up and getting matured. It's getting bigger and bigger and compared to six years ago, a lot of new functionality has been added to Linux distribution. Like i said in earlier post, 2.6.27.2 will be obsoleted by 2.6.27.3 shortly and today, it come true. Linux kernel 2.6.27.3 has been released with series of bug fixes around. Go to the Changelog for more detailed changes or go grab the source file to start downloading and compiling. More Productive Or Getting Lazier? With more and more features in GMail Labs, people will have two output options, getting more productive or getting lazier. Today, GMail has published two new features in their GMail product, updates to GMail Contact Manager and Canned Responses. GMail has tried to make automation for most of the basic tasks that their user used. This is good, because this can fasten our daily operation and transfer some of our work into the system they developed. In this other side, we are getting lazier and getting dependent of the product and eventually, we will stick to their product in the long term. It's a good way to take care of customer's satisfaction and loyalty. Make product that people like most and give them as low as possible at the pricing (zero price would be great). The LCD has 1280x720 resolution, which is supposed to be wide screen. Hm... I don't really like wide screen, because sometimes it uses uncommon resolution, but i don't think i have a choice. My LCD at home wasn't a wide screen (i picked it on purpose, even though the wide screen edition was cheaper). My default resolution on my Slack machine was originally 1024x768, common resolution for nowadays computer desktop/laptop. The display wasn't too good, so i ran a console and tried to configure the xorg.conf using values from gtf command to check the modeline, the X Server failed to use the new configuration. New version of Pidgin has come out. This version has a cure for my problem when i left my Pidgin on my computer for a long time. Most of the time, it got disconnected randomly. The latest version, 2.5.2 has (hopefully) solved this problem by pinging once every hour. Also i experienced another bug in 2.5.1 which related to ESC key. It was supposed to close a conversation window, but sometimes, it closed the main application also. This was also fixed in 2.5.2. So for those who still uses Pidgin 2.5.1, it's suggested that you upgrade to 2.5.2. The Changelog will give you detailed information about this release. The next stable kernel 2.7.27.2 has been released with bunch of updates and bug fixes, unlike the previous release which only contains one patch to disable the code which prevents the e1000e driver corruption to be loaded. The start of the review process for the next stable kernel (2.6.27.3) has begun and it's expected to come out very soon. My suggestion is that if you have no big problem with 2.6.27.1, i suggest to wait for 2.6.27.3 instead of using 2.6.27.2 that will be replaced soon. This morning i went to Amplaz and when i entered Batik Keris, one of the biggest Batik store in Jogja, i saw that they were using Mandriva as the operating system for their PoS (Point of Sales) application. It's DOS-based, so i guess it uses dosemu or some other DOS-based virtualization to make the application works (my guess is probably developed using DOS version of Microsoft Visual Foxpro). It works with the printer they used to print the receipt and the results were magnificent. Bravo for Batik Keris who has used GNU/Linux as their operating system. If you are Yahoo Messenger's fans, then you will probably already using Avatars. Those are images that represents who you are. You can modify the avatar to suit like you and add more things on it. While it's quite fun, i still prefer to use South Park character which can be made by using this flash-based application, thanks to SP-Studio who developed it. In the past, it lacks of the cool new things, but in the third version, they have added save button, more color on the skins (also fat and skinny body), tatoos, and more design on the shirt section. See my newest avatar on the screenshot. It's not a major changes though. 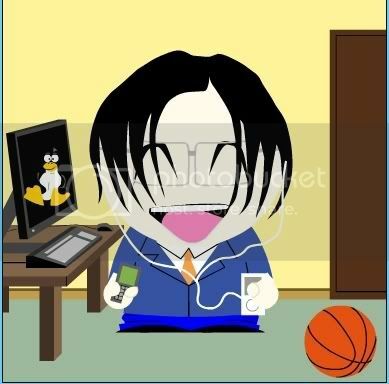 I just add Linux logo, a basketball, and an Ipod on it. In this months, W3C has released several other specification, mostly about Semantic Web (RDFa recommendation and 7 OWL 2 drafts) and XMLHttpRequest. Linux Kernel 2.6.27.1 has been released with a single patch to mark the CONFIG_DYNAMIC_FTRACE as broken so that it will disable the code. Detailed explanation is already provided at the Changelog. FYI, Linux Kernel 2.6.27 was having some problem with e1000e driver that could lead to hardware corruption. During the last RC, Linus already merged the code which should *at least* fix the problem, but it was a partial fix. The culprit is still nowhere to be found. Steven Rostedt debugged the code and finally found the root of the problem and applied the temporary patches to disable the code. Why not full patches to fix the problem? It's because the fix will change many part in other kernel source code. We surely don't want to have that kind of changes at -Stable releases, so we save that changes in the next merge window and it will be officially integrated at 2.6.28 which should arrive around January 2009. This gives the developers to test the patches to make sure it works just fine. One Down, Where's the Others? Well, we should expect lower spam messages in our inbox due to authorities successfully shut down one of the biggest spam ring, but that won't happened in short time. Even though one of the biggest one has been shut down, others will try to fill in the gap (like in the Pirates of Carribean movie where the Flying Dutchman ship must have a captain). Let's hope people are scared by this event and stop sending spam messages, but i kinda doubt that will happen. Why? Because spam is a good business and it has good cash flow actually, so no wonder many people got their hand dirty on this. Check here, and here for more information about changes for Developers. It's expected that in the final version of Firefox 3.1, the offline application will be fully supported as they have completed the HTML5 Offline specification. Let's hope the Google Gears are doing their job too to make sure it will works with Firefox 3.1 in the future. I wanted to test the Linux Kernel 2.6.27, but i have a blocker which makes me postpone it. It was NVidia's driver. As you probably know, NVidia hasn't merge their source code for their proprietary driver on the kernel main repository. Every new kernel gets released (not an update), they have to patch their code to work with the new kernel. This time, 2.6.27 has come out and the driver hasn't released a patch yet. There were some people who tried to give solutions, but i prefer to wait for the official patch from NVidia. Let's hope they don't take too much time solving this problem. NVidia has released an update for their mainstream driver, 177.80, but people at NVidia forum argued that the latest NVidia driver are worst than before. Do you have the same opinion as they are? We have a dilemma situation here. NVidia wanted to protect their source code, but they are lagging behind the Kernel developers who actively improve their code in the kernel mainline. In the other side, users are frustrated because of their slow release, mostly for legacy drivers. NVidia has stated that they won't publish their source code, so it's getting more complicated here. splash screen, new icons, and a host of usability improvements. office documents, Writer can now edit wiki documents for the web. solver, and a great new collaboration feature for multiple users. additional features requested by power users. PDF/A support and a range of new user-selectable options. and a whole new way of supporting additional languages. software; it's easy to use; and it's free. Mandriva 2009.0 has been officially released. Like always, Mandriva tried to put the latest bleeding-edge technology/application into their release. As you can see, Mandriva supports almost all the latest version of the technology available nowadays, Kernel 2.6.27, OOo 3.0, Firefox 3, KDe 4.1, GNOME 2.24, and many other things (see here for more detail). While it's very interesting at the beginning, take a look on their errata page. It contains information on known problems with Mandriva Linux 2009 and, where available, how to fix, avoid or work around them. As you can see, the problem on Mandriva 2009.0 is big enough and sometimes the bug is quite major (my opinion). For experienced users, solving that problem with the description on the errata page is no big deal, but don't expect ordinary users to do something like that. Some problems are due to usage of beta or RC release of the application included. For example, the Linux kernel 2.6.27 being used has just been released by Linus yesterday and Mandriva has been officially launched around 9 October. This means that the kernel inclusion should be done and finished long before the release. It means that it *might* used RC-8 or RC-9 during the build process. This is something they should have avoided to have stable system. I have been a fans of Mandriva since i met Linux in 2002, but i moved to Slackware since 2005 up to now. The bad habit of Mandriva developer to put several RC or Beta application is one of the reason. Sometimes, the application is too buggy to be included in the release, but they did. Ok, the wait is now over. Kernel 2.6.27 has been officially released by Linus and it contains lots of new interesting features. Those are UBIFS, support for integrity checking in the block layer, multiqueue networking, the ftrace tracing framework, the lockless page cache, the relocation of a lot of firmware, the GSPCA webcam driver set, and a number of extended system calls.Detailed and human readable information can be seen KernelNewbies. For me, the interesting part is the merge of gspca driver for webcams. This will make lots of web cam available on most modern laptop works out of the box (hopefully). Also this kernel should have fixed my problem with battery. It's already back-ported to 2.6.26.6 actually, but newer kernel is already released, so i just skipped to the latest kernel also. Kambing, one of the biggest Linux/Unix/Opensource repository in Indonesia has lost all of it's content when i visited just now. I don't know what happened there. Anybody can explain this? It's impossible to have all distribution rsynced at the same time. Update (20:30): It seems that the "massage" has been finished and it's up again. Thanks to Fajran for the info. Many people have prepared themselves by bringing in their coat and umbrella while they are traveling, but some don't. I can see several people had to wait in the side ways until the rain stopped. I have just added one new extension to my Firefox browser. This extension will try to help you decide whether the site you visited is safe from online scams, identity theft, spyware, spam, viruses and unreliable shopping sites. It's called WOT (Web of Trust). How does it work? Simple. Anybody can download the extension and after that, they can give ratings to sites they visited. Those ratings are gathered around the world and it will be visible to other people who uses the WOT extensions on their browser. So, it's a collaborative project as well. Everybody contributed to this project by giving their rating based on their experience with specific sites. Up to the time i wrote this, they have scanned 20,378,973 sites and it keeps growing over time. Do you think that Linus only focusing on Linux kernel? Well, think twice, as he has now developed a silly time-limiter for the kids' internet usage (that's what he mentioned on his GIT repository). This application can be used to limit the internet usage of his children in order to make them strict on time, so they can work their home works and not playing on the Internet all the time. Do you know what's the reason why he developed that program? Look at his blog post. After suffering from few days of downtime due to DB problems, finally the Indonesian Linux Forum is up and operational again. The hosting vendors have fixed the DB and luckily there wasn't any data loss at all (as far as i see). Have fun again at the Indonesian Linux Forum and i'm sorry for this inconvenience you had. Weekend and long holidays are over guys (and gals). It's time to go back to work again tomorrow. Not everybody likes to work on Monday, but for me, it's the perfect day to start another week because my mind has enough rest during weekend (especially this week because of the long holiday). Speaking about working, i saw Jogja is already back to normal. When i went out around 7 PM, the street was not as crowded as in yesterday or two days before when most people outside Jogja came here and filling all the hotels, makeing it like second Jakarta. Well, that's the past and Jakarta will be back like Jakarta again starting tomorrow. No... No... Don't think that i'm really trapped on my own house. It's something different and it's related to the long holidays that occurred this week. As you probably knows, most people came back to their house when Lebaran came. Most people worked in Jakarta, so when Lebaran came, people left Jakarta and it become so quiet and empty. It's not like Jakarta we know as usual. On the other side, people came to Jogja from all over the place. Like Okto said, it's dominated by people coming from Jakarta by just looking from their car plate. Jogja become so crowded and make me kinda trapped on my own house. It's very crowded in the streets and it makes me too lazy to go out if it's not too important. Of course i could take a motorcycle, but still the street is too narrow to hold all those cars and motorcycles. Deleting files got a nice 32 times speedup. The Kopete Instant Messenger team fixed crashes in the ICQ, Yahoo and Gadu-Gadu protocols. Various crash fixes in KGpg, the PGP security utility. More detailed changes can be seen at Changelog. Sam Varghese wrote an interesting article about How often do we need GNU/Linux releases?. Basically, it describes the life cycle of an operating system and it's release cycle. Some people said it's better to use long cycle and put everything interested on that build and release it as a big jump. This what happened in most Windows products. Every new Windows product always put huge pile of new features and sometimes it's too bloated and not everybody can afford to use that new product (i think i don't have to mention the product). This model is good when you (as the customer) are using very old version, since you can jump to that version and you will get a whole new system with new features. It's also has negative impact, such that you must learn to get used to it (mostly when the UI is totally revamped like what happened in MSO 2007). While in the other hand, most Linux distribution tends to have iteration and shorter cycle, let's say every 6 months (this what happened in two big Linux distribution, such as Ubuntu and Fedora). People can have better estimates, since they can expect a new version every six months (even though it slipped, most of the time it's just one or two weeks). Unfortunately, this approach may suitable for those who have good Internet access, since downloading them is not a big problem. People who had slower bandwidth must wait until they can get from their friends or as a bonus on a Linux magazine. While they are trying to install this version, new version is already scheduled and things will change again. It's like your life is just meant to upgrade your OS every day . In most cases, you will see that in six months, lots of things have changed in the core of the OS. Take an example of Ubuntu. They are trying their best to integrate the latest technology on their products every six months (in the past, it was Mandriva and SuSE who did this). Sometimes, they don't have enough time to test all of those new fancy features and just pushed it out to meet the schedule. In the end, it may crippled the OS which supposed to be stable to be used for daily activities and production. In simple words, they are focusing on the technology. This sounds good at the beginning, but when the deadline draws near, they might get rushed and forget about the stability. Lucky me that Slackware do not use this tradition. You will never know when will PV released next version of Slackware until he announced officially (even though you might be able to guess from the -Current changelog). For him, stability is the main focus of the Slackware development, not the bleeding edge technology that might caused lots of headache due to heavy load of maintenance and security problems. In short, Slackware's motto about release cycle: It will be released when it's ready. This is a good example. Why? because the product should be stable enough until the next cycle of development. You can't ask your users to update everyday, can you? They got work to do. It's the maintainer's job to make sure that the OS is stable enough for daily usage. There are disadvantages of this approach (of course, nothing is perfect). You might not see the latest technology on Slackware, but i guess a working and stable system is better than a system with bleeding edge technology but not stable enough. Well, it's my personal opinion (because i used Slackware), so it's normal if you disagrees with me for this matter (mostly if you used other OS). There's alway a trade-offs between features and stability. You want more features? Expect less stability and vice versa. Yep, new major GIMP release has been taken out of the development branch and become a stable release. 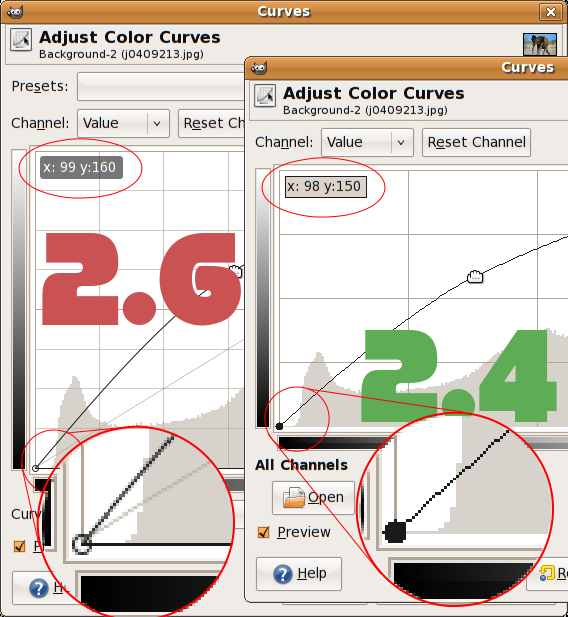 It's a big jump from GIMP 2.4.x in which it behaves more like a professionals tools with no floating toolbar anymore. It's not just the UI who get revamped, but also in the inner side of the process as well. GIMP 2.6 has integrated GEGL, the graph based image processing library that will eventually bring high bit-depth and non-destructive editing to GIMP and also moved some 2D graphics processing to Cairo (see the comparison).